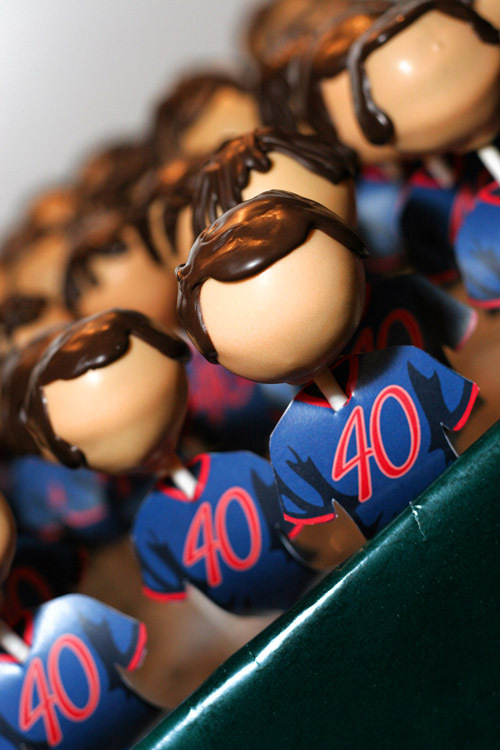 Samantha’s husband was turning 40, she wanted a fun design for the big party that both adults and kids would get a kick out of. Why not little foospops! 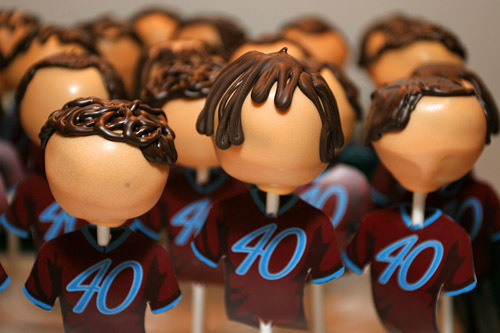 Foosball being a pastime of her husband’s, each cake pop was made to look like a foosball player with custom jersey sporting the proud #40 in honour of the occasion. This entry was posted on Saturday, October 16th, 2010 at 6:01 pm	and is filed under Birthday Pops, Recent Creations.